Hi everybody I am new to the aat and have just started my certificate a couple of weeks ago. I am with kaplan financial in leicester. Just a quick question that I would like to ask just to make 100% sure that i am right. Am I correct in saying that debits are money going into an account, and credits are money going out of an account. This is what i thought it is, but now am a bit unsure, so if anyone could help, I would be very grateful. I'm afraid it's a little more complicated than that. In the profit and Loss account, Income is a credit and expenses are a debit. Eg, You buy some envelopes, that would be Cr bank and Dr office expenses. I did an explanation in another thread which I wil ltry and find and repost. Just what I was going to advise. "Money into the bank is a debit" goes against everything we as bank customers have been used to, but once you accept it, it becomes easier. Money into the bank (balance sheet) is a debit, thus your income (profit & loss account) is a credit. Money out of the bank is a credit, thus expenses are debits. Why is money into the bank a debit? Because having money in the bank is an asset. A creditor is a liability. When we have money in our bank account, the bank tells us we are in credit. That's because they owe us the money back, i.e. we are a creditor. If we are overdrawn they say our account is in debit - because we are now an asset - we owe them money. So we are used to thinking credit is good and debit is bad when it comes to banks. Once you realise the bank are telling you the position in their terms, not yours, it makes more sense. 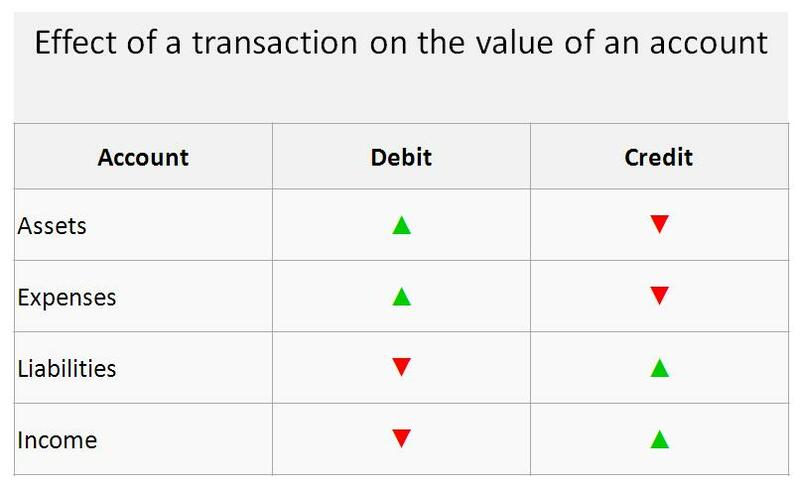 Also, if a transaction involves a Profit & Loss item, it's probably easiest to remember that credits are income and debits are expenses (just like you're used to with real life banking, just to confuse things!). Then you know that the other account has to be the opposite. Once it clicks, you'll have got it. Til it does, just persevere, and make some notes for yourself that explains it in the way that makes most sense for you - we all understand things in different ways, so find the explanation that is right for you and stick with it. A useful method I used, (and still do sometimes! ), when learning double entry was PEARLS. If you think of a 'T' account and put P E A on the debit side, and R L S on the credit side, it will help you understand where entries should appear.